Time Warner Center evacuated after unsubstantiated telephone threat. 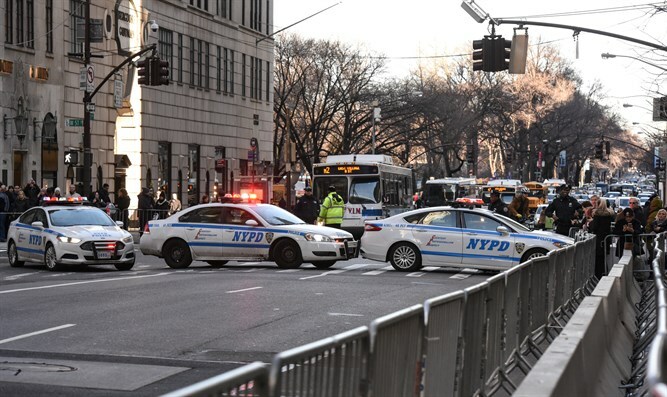 A police official told NBC News that an unsubstantiated telephone threat came in to the Time Warner Building, with the caller claiming there were five bombs in the building. Shortly before midnight (local time), the NYPD reported that officers had completed a sweep of the building and deemed it safe. The building was reopened and employees were permitted to return to the premises. CNN switched to taped programming as the facility was evacuated. It remains unclear whether the unsubstantiated phone threat was aimed at CNN in particular. The building was partially evacuated in October after a suspicious package containing a crude pipe bomb was delivered to the company. The package was addressed to former CIA Director John Brennan, who contributes to CNN, and was one of several pipe bomb packages sent to people associated with the Democratic party. Cesar Sayoc, a 56-year-old Florida man, was eventually arrested for mailing the bomb packages.